Civil rights activist, Marion Barry is the definition of a game changer. Since his move to Washington, D.C. in 1965, he managed to become one of the most influential, charismatic, and unforgettable politicians of his time. Although Marion Barry is greatly known for being the second and fourth mayor of Washington, D.C., he was the first chair of the Student Nonviolent Coordinating Committee and the President of the D.C. School Board (1972-1974). He also held a seat as a member of the D.C. City Council three times. 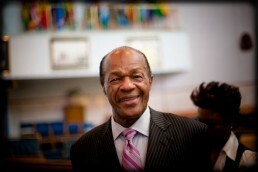 Marion Barry co-founded PRIDE, Inc. in 1967 and started the D.C. Summer Youth Program in 1979. His dedication and commitment was displayed through his many efforts to improve the city he called home. Marion Barry’s life was a testimony that despite your flaws, mistakes, and imperfections; you can still positively impact and inspire your community. Prince George’s African American Museum and Cultural Center would like to take a moment to pay homage to the former Mayor of the District of Columbia, City Council member, D.C. School Board President, and civil rights activist, Marion S. Barry. 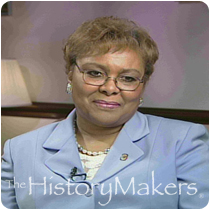 The Historymakers, 'the nation's largest African American oral history collection' recently added the distinguished life and career of our very on Executive Director, Dr. Jacqueline F. Brown, to their archive. Who knew that chocolate brown was her favorite color? Or, that Chocolate and Tuna Fish were among here favorite foods? What we at PGAAMCC probably could have guessed was her favorite quote: 'No problem is solved at the same level of consciousness that created it'. That's was she does everyday--elevate consciousness. And we are all better for it! 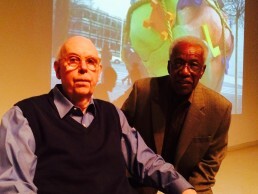 Master sculptors Claes Oldenburg and Huey Gaddy reunited at the Smithsonian Hirshhorn Museum and Scupture Garden in Washington, DC ,on Saturday, November 8. Oldenburg, 85, is an American sculptor, best known for his public art installations typically featuring very large replicas of everyday objects. He was a guest speaker at the Hirshhorn on Sunday. Huey Gaddy began his career as a sculptor by working as a fabricator for several major contemporary sculptors, including Oldenburg. 'Momentum' our current exhibition featuring Gaddy's work is now on display at PGAAMCC through January 20th. PGAAMCC will announce, in-person artist tours of the exhibition soon! 150 YEARS AGO ON NOVEMBER FIRST 1864, ENSLAVED AFRICANS IN MARYLAND WERE FREED BY A STATE EMANCIPATION LAW. THE WORK OF THE PRINCE GEORGE'S AFRICAN AMERICAN MUSEUM AND CULTURAL CENTER IS TO TELL THE STORIES, HONOR THE ARTISTIC WORKS, AND TREASURE AND EXHIBIT THE ARTIFACTS OF AFRICAN AMERICAN AND AFRICAN DIASPORA PEOPLE OF PRINCE GEORGE'S COUNTY MARYLAND. The Honorable Wayne K. Curry broke all the molds in the early 90's by becoming the first African American County Executive for Prince George's County. His dynamism and determination to move the county from being the "Poor Sister" of Counties in the National Capital Region to being a jurisdiction of substance, affluence and pride was felt immediately in his bold economic moves in housing development and economic development. His administration opened a new era of being "open for business and high end development" for Prince George's County. Wayne's enthusiam, intelligence, sharp wit and general affability endeared him to friend and foe alike and made him a strong advocate for what is good for our County. He was also a very determined man. We at the Prince George's African American Museum and Cultural Center at North Brentwood honor the distinguished legacy of this trailblazer and his contributions to the African American story in Prince George's County. Nelson Rolihlahla Mandela (18 July 1918 – 5 December 2013) was a South African anti-apartheid revolutionary who was imprisoned and then became a politician who served as President of South Africa from 1994 to 1999. He was the first black South African to hold the office, and the first elected in a fully representative, multiracial election. His government focused on dismantling the legacy of apartheid through tackling institutionalized racism, poverty and inequality, and fostering racial reconciliation. Politically an African nationalist and democratic socialist, he served as the President of the African National Congress (ANC) from 1991 to 1997. Internationally, Mandela was the Secretary General of the Non-Aligned Movement from 1998 to 1999. More than 50 invited guests, including state senators Victor Ramirez and Joanne C. Benson, delegates Michael Summers and Jolene Ivey. The Veterans Day program was the first in a series of public programs supporting the PGAAMCC’s next exhibition – A Space of Their Own; A celebration of Prince George’s Historic Black Townships. Mayors from three of the townships – Petrella Robinson, North Brentwood, James Crudup, Eagle Harbor and Lillie Thompson-Martin, Fairmount Heights – attended the event and served as honorary chairpersons. The program began with a stirring rendition of the National Anthem by Yolanda Nelson followed by a welcome address from Mayor Robinson. PGAAMCC curator Jon West-Bey gave a brief introduction to “A Space of Their Own.” PGAAMCC Executive Director Dr. Jacqueline F. Brown recognized veterans for their service to America. Brown is married to a veteran and has two sons who have served in the Middle East. Elder Bernard Blackmon, a former Corporal in the U.S. Marines was the Veterans Day event keynote speaker. Elder Blackmon recounted some of his military experiences, including the rigor of boot camp and the humiliation of his first bald haircut. Notwithstanding the meticulousness the Marines Corps, Elder Blackmon praised his time of military service saying it allowed him to use his GI benefits to buy a house, attend college and move up in the government job environment. Each luncheon attendee was given a post card to write a personal message to a service member overseas. The Red Cross will help facilitate the mailing of the post cards. On Saturday, September 17th Dr. Washington Cherry presented an extremely participatory lecture that left everyone wanting to discuss more and ask more questions. The topic that had every ear perked and every brain thinking was: Reading, Writing, and Racialization: The Social Construction of Blackness in a Prince George’s County Middle School. What is blackness? How do we define blackness? If you speak Spanish can you also be black? Is “blackness” a particular color”? Many of us define blackness differently and perhaps it is an individual decision. But this lecture clearly made everyone think about what it means to be black and its importance. One attendee stated that there is only one race, and that is the human race but does society accept this “one race”? What became clear to me is the need for diversity training even among a community like, Prince George’s County which is predominantly African American. 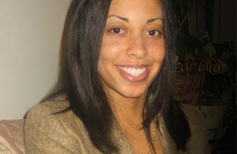 Among those who identify themselves as black or African American are Spanish speaking people, French speaking people, and perhaps even those who do not look like what we consider black or African American. It is important to understand and be empathetic to other people and do not jump to conclusions because a person has an accent or because they do not fit in a particular societal “box” neatly. Prior to this lecture, I often thought there was no need to have diversity training among people who look the same but I quickly learned that just because we look alike does not mean we share the same race, language, understanding of culture, or identify with being black.